inspired my lovely husband to visit 'Macarons and More' in the Royal Arcade in Norwich, run by Tim Kinnaird (who changed his career from being a paediatrician after becoming a finalist on Masterchef a few years ago). 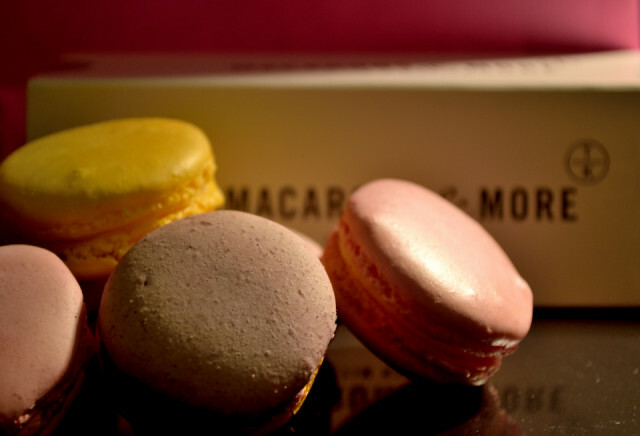 I hadn't been well, so to cheer me up he bought me a box of assorted macarons. They are just wonderful, flavours include lemon, rose, violet & blackcurrent and heart-shaped ones favoured with raspberry! So inspired by my husband's gift I decided to make them the subject of my blip. Thanks B. look what you started! !